How Does The VA Rate Respiratory Illnesses? 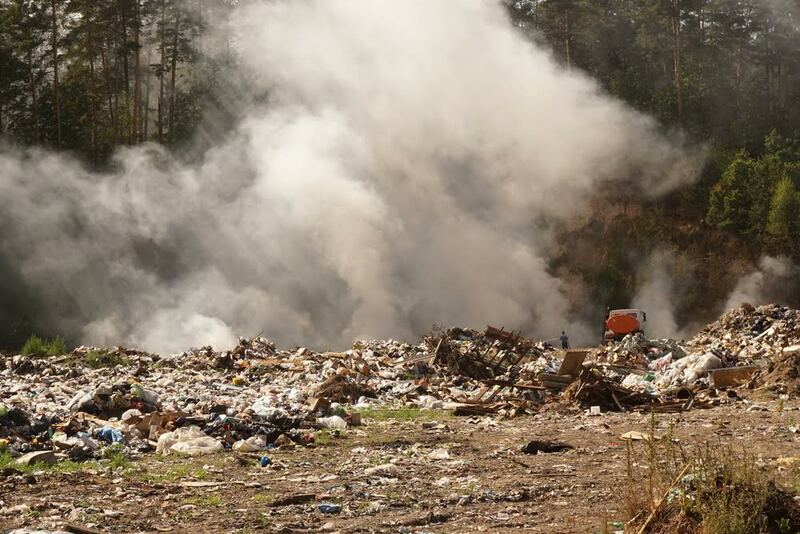 If you suffer from a service-connected respiratory condition or one of many other similar illnesses you may be eligible for disability benefits from the VA.
During the Iraq and Afghanistan Wars, the military used burn pits to dispose of common waste and materials. These open-air areas would burn day and night, and many of the waste products put into these pits were potentially toxic. Smoke emitted from the pits contained substances that are suspected to have negative health effects on active military personnel. The burning waste in the pits included human waste, petroleum, plastics, discarded food, and even body parts. This created clouds of dense, black smoke that hovered over the barracks and work areas. Soldiers exposed to this smoke for long periods of time or who had pre-existing conditions such as asthma or lung or heart conditions may now be experiencing negative side effects and symptoms due to the toxic nature of the burn pits. There are many claims by veterans that their respiratory diseases and illnesses are related to exposure to the burn pits. However, Congress and the U.S. Department of Veterans Affairs (VA) have investigated these claims and report no evidence that there’s a link between them. But while the VA doesn't recognize a service-related connection, you can still file a claim for respiratory illnesses due to burn pit exposure. If you believe your illness is related to exposure to burn pit emissions during active duty, you can apply for disability, and the VA makes determinations about these claims on a case-by-case basis. Because obtaining benefits for respiratory illnesses related to burn pits can be complicated, it’s helpful to hire a disability attorney to help you through the application and appeal process. Military personnel are exposed to burn pit smoke in many ways. After waste products are discarded into the pit for burning, smoke rises, forming a plume. Often, this is thick, dense smoke that lingers over the area. Smoke can come in contact with your eyes and nose; penetrate clothes, material, and bedding; and coat your skin or food with soot and ashes. Most often, exposure happens through inhalation. There's no strong evidence to show a link between burn pit exposure and respiratory illness. Some military personnel may suffer symptoms they believe are a result of exposure to the smoke from burn pits, but some experts believe those symptoms may have been exacerbated by exposure to sand, dust, and industrial pollutants as well. Those soldiers returning home from active service near a burn pit may now have an increased risk of asthma, and a small number of veterans have constrictive bronchiolitis—a chronic, rare, lung disease. Thus far, the Institute of Medicine has found limited evidence linking the exposure to burn pits smoke to decreased pulmonary function, and inadequate and insufficient evidence of a connection between this exposure and respiratory disease. The Department of Defense (DoD) is continuing its evaluation and study of health risks associated with burn pits. There are no medical tests for burn pit exposure. No medical tests exist to specifically show burn pit exposure or help prove that your symptoms are a result of exposure to burn pit smoke. However, your doctor may perform various other medical tests that will evaluate your symptoms and condition. Additionally, the DoD believes that any veteran and all military personnel who feel they suffer symptoms due to burn pit exposure deserve and should receive proper medical care. Respirators can help. Soldiers can protect themselves from burn pits by limiting activities where there is heavy smoke and avoid burning banned or inappropriate waste. Also, a 2011 policy provided for a filtering face-piece respirator made available to military personal who have to work near a burn pit. These soldiers are trained to use the respirators properly. If you’re a veteran who worked around burn pits or was exposed to fumes caused by burn pits, and you believe your respiratory issues are service related, contact Cuddigan Law at (402) 933-5405. We’ll schedule an appointment to discuss your eligibility for benefits. Does the VA Use Reexamination Results to Reduce Ratings?